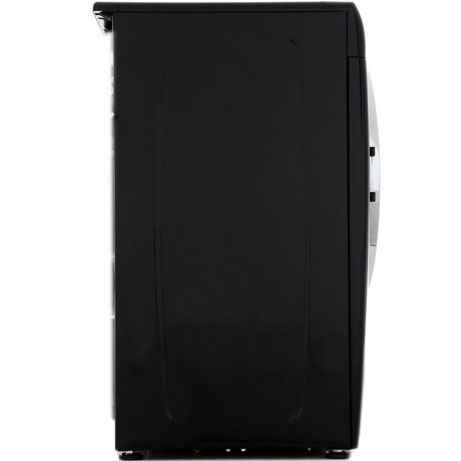 This Hoover Washing Machine In Black, is a modern twist on the standard ‘white goods’ description. 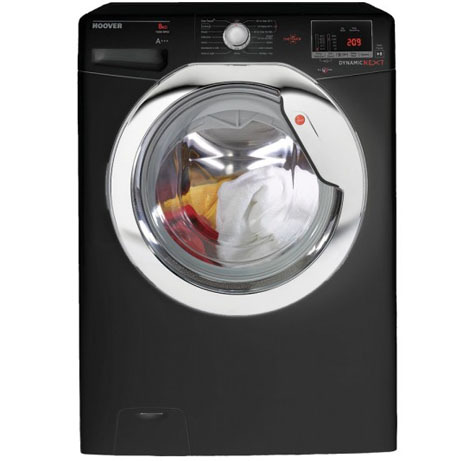 With a good sized 8kg load capacity and a high 1400rpm spin, this machine is perfect for those looking for looks and performance as well as quality as standard. Download the Hoover Wizard app to your Android phone and connect via NFC with just one touch and enjoy a range of cutting-edge features, including programming when you want a wash to start and downloading new specialist wash cycles to suit your needs. You can use the Health Check feature to monitor your washer’s performance and check if any components require attention. There’s also a clever voice assist feature that recommends the best wash cycle based on your load. 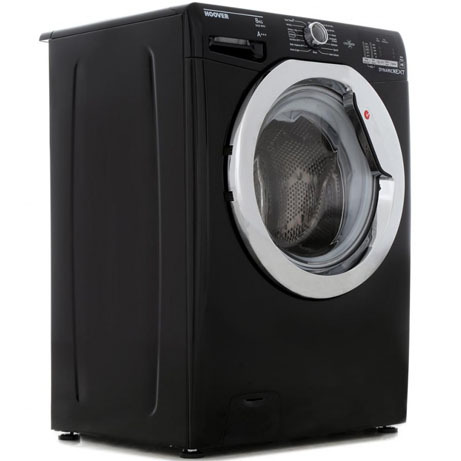 An 8kg wash capacity, equivalent to 40 shirts in one wash, is designed to get through your washing basket quickly. The clever KG mode uses a sensor to weigh the load early in a cycle, then adjusts the time, water and electricity to suit so you get effective cleaning while using the smallest amount of water and electricity possible, hence a stunning A+++ rating for energy efficiency. 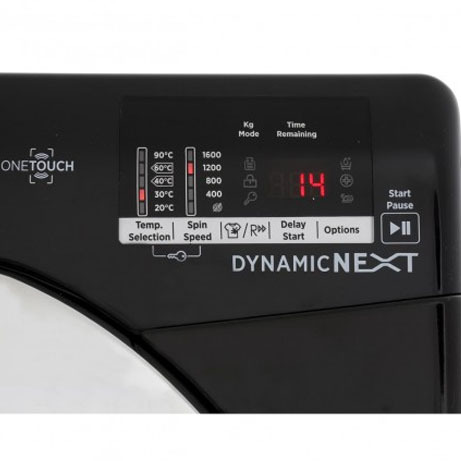 A 3D Dynamic wash system also uses increased water pressure, curved paddles and a raised dome system will move the laundry in a 3-dimensional way for quick, effective cleaning that really soaks into the fibres of your clothes. 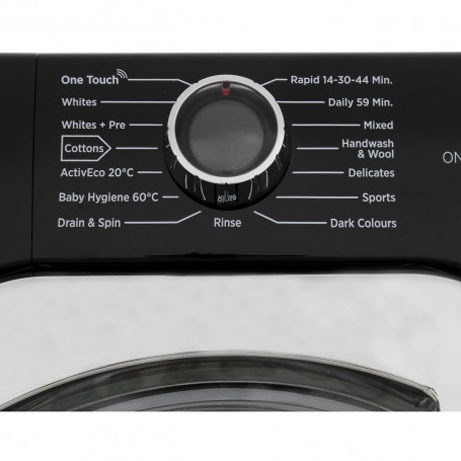 A powerful 1600 maximum spin helps dry everything quickly too. This stylish Hoover washing machine also comes with a 10-year parts and 1-year labour guarantee.